The much awaited Akshay Kumar starrer film ‘Singh Is Bling’ has finally released and is off to a good start. ‘Singh Is Bling’ has received tremendous response from Delhi and Punjab regions where the tickets were being sold out in advance at almost 60-70% rate. The film is doing exceptionally well in single screen theaters at Delhi. 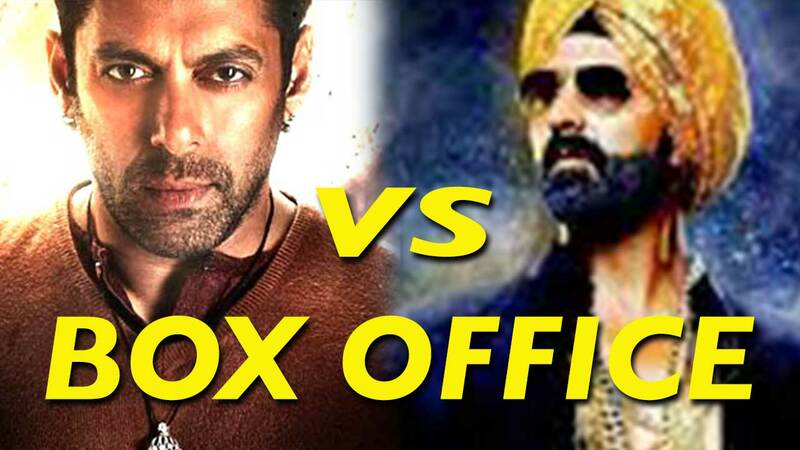 Comparing the first day collections of ‘Singh Is Bling’ and Salman Khan’s ‘Bajrangi Bhaijaan’ in the regions of Amritsar and Noida, it seems like ‘Bajrangi Bhaijaan’ is ahead in the race. The total screenings for ‘Singh Is Bling’ is 58 in Amritsar and 87 in Noida whereas the screening of ‘Bajrangi Bhaijaan’ was 68 in Amritsar and 99 in Noida. Thus number wise ‘Bajrangi Bhaijaan’ has more screenings which is helping it stay ahead in the race. Although ‘Singh Is Bling’ is not that far behind collections wise. The collection for ‘Singh Is Bling’ in Amritsar is Rs. 5.98 lakhs net approx whereas for ‘Bajrangi Bhaijaan’ it was Rs. 6.71 lakhs net approx. The Noida collection on the other hand is Rs. 5.27 lakhs net approx for ‘Singh Is Bling’ and Rs. 6.69 lakhs net approx for ‘Bajrangi Bhaijaan’. Thus the average per screening for both the films is pretty close. In its overall performance, ‘Singh Is Bling’ has the advantage of today’s public holiday which should help boost the same in metro cities like Mumbai. As the film is a comedy genre, it should also receive good response from Gujarat region. With today’s public holiday and the weekend ahead, we’re anticipating some good response for the film’s collection. Advance bookings for ‘Singh Is Bling’ has started off the film for a great start in the north region. ‘Singh Is Bling’ sees Akshay Kumar playing the role of Raftaar Singh in the film. With the backdrop of Punjab, the movie is a concoction of comedy, emotions and action. Actress Amy Jackson plays the leading lady in the film who looks confident in her hard hitting image. Actress Lara Dutta is making a comeback with Akshay Kumar in the film, and audiences are welcoming her back on the big screen. The film also stars rapper Yo Yo Honey Singh and Raajpal Yadav in pivotal roles.